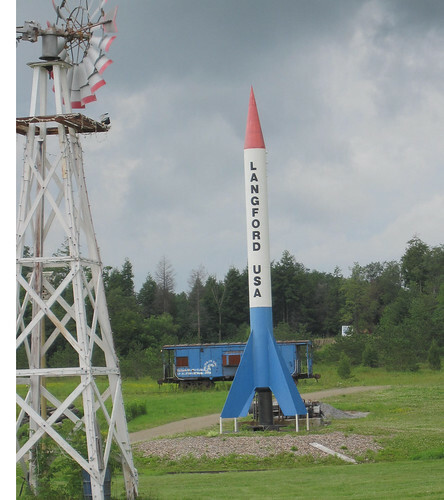 South of Buffalo (N.Y.), off State Route 75, is an interesting sculpture garden — including this steel rocket. Found a few in the area, including Griffis Sculpture Park in Ashford Hollow, not far from Ellicottville — the "Aspen of the East." This entry was posted on Monday, August 24th, 2009 at 6:11 am	and is filed under Uncategorized. You can follow any responses to this entry through the RSS 2.0 feed. You can leave a response, or trackback from your own site.